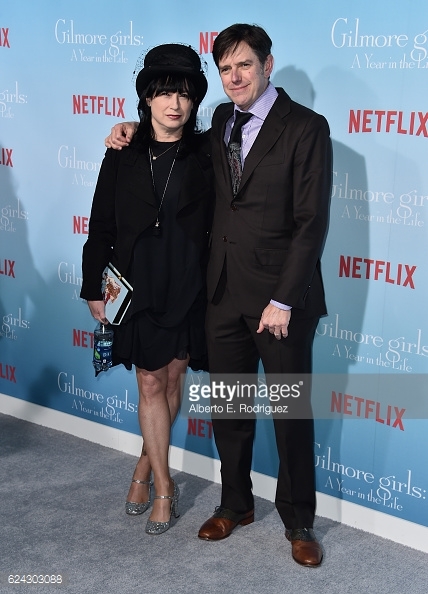 Fans of the original Gilmore Girls (GG) series know now that the writing and production of American born Director/Producer/Writer Amy Sherman-Palladino as of late has come full circle with the recent launch of the new original Netflix series 'Gilmore Girls, A Year In The Life' (November 25th, 2016). I can speak from experience when I say that we writers create our best work from our most emotive state and our best writing comes not only from a place of passion for the subject, but also from a place of feeling connected to that subject as well. I knew that after watching these series I would be writing the review from an emotive state because that’s just how Sherman-Palladino managed to re-connect to fans after the shows abrupt end in 2007. (A decision that the writer clearly has stated in countless interviews wasn’t one she was involved in making) I am certain that she achieved satisfied victory in the hearts of all GG fans when she created this four-part series titled: Winter, Spring, Summer, and Fall focusing on the lives of three beloved women/icons they have all come to know and love: Emily, Lorelai, and Rory Gilmore. 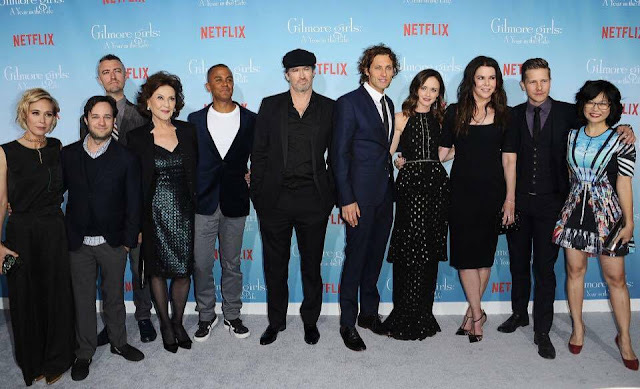 Sherman-Palladino went beyond our expectations and extracted the very essence of life by touching on matters of the heart, sarcastic humor, real-life situations, and our own purpose here on earth through these characters. She writes with absolute intention knowing full well that the execution of the Gilmore Girls story will ultimately connect true fans, friends, family and lovers of the show to one another for life. Well, let's stop for a moment to talk about our beloved Richard Gilmore, a magnificent and powerful presence in the series regardless of his physical absence in the show. Indeed, fans of the late Actor Edward Herrmann mourned greatly upon his passing on December 31st, 2014, less than a year shy of the filming of these new episodes. There isn't a fan on earth who knew his importance throughout series as the powerful patriarch of the Gilmore family. We mourn again in 2016 via the cleverly written script (balanced evenly throughout each episode) lending a true ode to just how deeply Herrmann is honored not just among fans, but also the cast and crew. There is no doubt that the 'acting' and references of how profound his absence is missed comes from an honest place in the hearts of Kelly Bishop, Lauren Graham, and Alexis Bleidel, who knew him as husband, father, and grandfather both on screen and off. Their tears in these episodes were real, as are ours. Our beloved characters have aged (very gracefully!) and circumstances in their lives have changed as a result of father time. Sherman-Palladino has respectfully picked up at present day by not dismissing these important details: Rory is no longer the young woman venturing out into the world we remember and Lorelai is no longer the feisty young mom with a side of 'hip and happening'. These actors have come into their own so to speak: Rory is 32, has come to a crossroads in her life by making the decision to become a serious writer, and is on the precipice of motherhood herself. Lorelai is now settled and at peace with her decision to (finally!) marry Luke and settle into a more secure place in life by understanding her own mortality after the loss of her father. All are a little wiser to the uncertainties that life brings and they embrace these inevitable changes with grace, openness, sarcastic humor (why should that ever change? That is Gilmore after all! ), and dignity. Appearances throughout the four-part series by all cast members were perfectly placed throughout the show and as quickly as they entered, they exited, reminding us of our own truths in life: people come and go. Some stay and are in our lives forever. Some are only there for a reason, a season, or a lesson. What Sherman-Palladino achieved through the final execution of this Gilmore Girls story is truth: we honor the people in our lives and our memories of/with them by holding them in the deepest recesses of our hearts always. I couldn't write this review without also giving ode to the dear people in my own life who have come to mean so much to me during the same time that this series began in 2000 to its final famous 'last four words' (don't worry, I won't spoil it in here, you'll have to watch!). It would be a disservice to this exceptional writer and the actors in this series to focus solely on the fiction of their characters; I believe the intention of this series is for all of us to remember, honor, respect, and connect to what is REAL in our own lives and the similarities in circumstances. There isn't one part of this show that any one of us couldn't relate to: there will always be deep joys and sorrows we come to experience in this lifetime. My hat's off to all the cast and crew who were able to take what Sherman-Palladino wrote and bring us that deeply personal connection in our own lives through their exceptional acting. 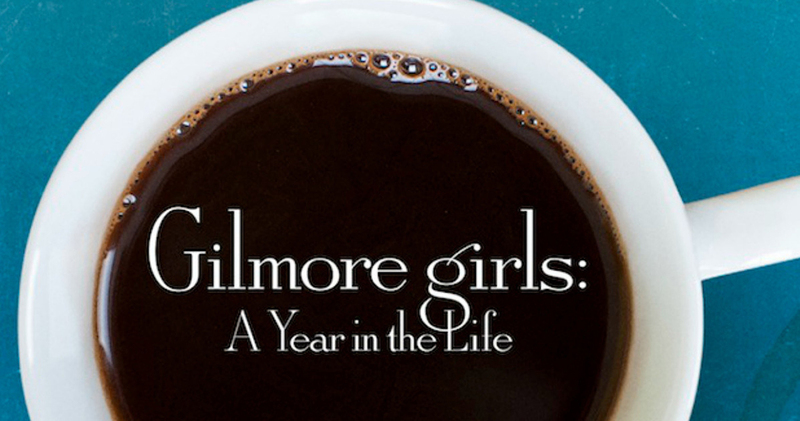 Therein lies the magnificence and meaning of Gilmore Girls. From one writer to another, and on behalf of all the fans of the world: thank you Amy, it was perfect. Smell that? That’s my coffee brewing. I am about to watch it all over again……. Enjoy the ATX Festival Panel: "Gilmore Girls" 15 Year Reunion presented with Entertainment Weekly (2015) below! Welcome to 'The Little Black Book Club'! If you are on this site, this means you are an avid book geek like me! After many requests, we have decided to launch this new section of the Starlight Music Chronicles website to host our interviews/reviews of the most popular reads today by some of the most celebrated and gifted Authors of today. Coming from a background in journalism with a hobby for reading classic literature it made sense for me/us to create this addition to the SMC platform. We look forward to YOU, the avid reader, being a part of this extraordinary new journey! Candice Marshall is a Music Journalist from Edmonton, Alberta, Canada who began her career by studying Journalism, Photography and Graphic Design at Grant MacEwan University in Edmonton, Alberta, Canada. Currently, she has expanded on this career and is working as a freelance/contributor on many projects for Recording Artists, Actors, Artists, and Organizations Globally such as: Branding, Social Media Campaigns, Biographies, for websites, Articles as well as Photography, Photo Editing and Graphics. Her most recent published work appears in the third edition of ‘Dynamic’ Magazine – A Fan based Magazine in honor of legendary Guitar man Johnny Marr (The Smiths) following his live performance in Edmonton, Alberta. (link: http://bit.ly/1Kto1oU - see acknowledgements on the back page of the publication for photography and article). 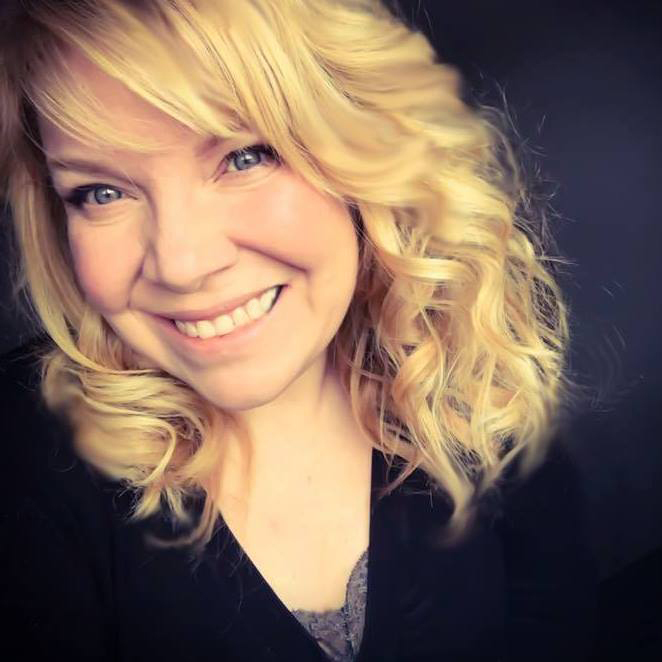 Candice began her career primarily as a Graphic Designer fresh out of University in the early 1990’s and extended on her other educational assets in Journalism and Photography while working for the Local and Regional Newspapers in Northern British Columbia, Canada. It wasn’t until she covered an outdoor music festival in 2007 for the local newspaper and meeting bands like Hedley, Theory of a Deadman, Beverley Mahood, Shane Yellowbird, Rex Goudy, The Headpins, LIGHTS, and The Road Hammers (to name a few) was when she truly discovered her passion for Music Journalism and live concert photography. Most recently, Candice has incorporated her skill-set in the last four years in the Music, Fashion, and entertainment industry by way of attending notable events such as the Canadian Country Music Awards (CCMAS) in 2013 and 2014 representing her previous website Candy’s Celebrity Lifestyle where her most recent writing and photography has now been amalgamated into the Starlight Music Chronicles Blog. As the demand for her writing has increased (as well as her networking circle), Candice is happy to have now launched Starlight Music Chronicles as of May 29th, 2014 as Editor, with Global Music Journalists, Music Photographers, and Music Television Media contributing to the website regularly. In July of 2015, Starlight Music Chronicles began a Teen Beat page with a teen writer in place. Additionally, Candice has successfully launched an Artist of the Month campaign beginning August 2015 supporting Indie Artists who are being featured on the brand-new Artist of the Month page on the Website. This lead to the Artist of the Year event where she collaborated with ARTISTMAX out of Los Angeles, California. In addition, Candice has also contributed to Indie Music Bus (www.indiebusicbus.com) and Indie Habit (www.indiehabit.com) by way of writing and branding graphics (Indie Habit) for the Social Media, website and Apple app. A sample of her work for Indie Habit can be seen at: http://bit.ly/1PczMRK . Candice has also written articles for Indie Music Bus, the Flagship Company for Indie Habit. Some of the articles/content/photography/branding for Music Artists that Candice has written for/supported are included on several forums including Magazine & Newspaper publications, Blogsites, and Webpages are: Hedley, Theory of a Deadman, The Road Hammers, Rex Goudy, The Headpins, Beverley Mahood, Shane Yellowbird, Taylor Swift, Clayton Bellamy, Adam Gregory, Candice Ryan, Rachel Woznow, Tupelo Honey, Bryan Finlay, Palaye Royale, REND, Luke Potter, Johnny Marr, Gary Numan, Olivia Wik, Bleu McAuley, Paul Woida, Andrew Scott, Brendan Guy, Hayley Richman, Emily Seal, Jason McCoy, Nic Neufeld, Michelle Mollineux, Jasmine Singh, LIGHTS, Hollywood Vampires, Nim Vind, Shay Esposito, Olivia Rose, IAMWARFACE, Jamie Lawson, Ed Sheeran, Reeve Carney, Scott Patterson, Meghan Patrick, Little Crow, Olivia Penalva, Stuart Epps, Mario McNulty, New Mayans, Mark Plati, After The Calm, Lia Cole, Ari Herstand, and Flash Jam to name a few and it is expanding every day. Her networking skills through these various Social Media Platforms have created quite a stir in the industry and have drawn the attention of established writers such as Ken Caillat (Author of ‘Making Rumors’, an inside look at the making of the infamous Fleetwood Mac album.). Candice has written for Bongo Boy TV in April 2015 - October 2015 as Contributor/Writer/ Content Creator for global Recording Artists both Independent and Signed. Most recently, she has contributed to Nor'easter Magazine which became a print publication in 2015. In addition to this, the Starlight Music Chronicles Spotlight and The Chronicles websites have been added to the Indie Habit app for iPhone as another platform for SMC Spotlight Artists to be featured on. Please check out our affiliates section of this website to connect with Indie Habit. Most recently, Candice has Custom Designed the websites for Los Angeles, CA Producer Brad LaFave for LaFave Productions and Artist Developer Stephanie Rachel. She is currently re-branding a financial company in Edmonton, Alberta. This is just another facet of her experience as a Web Designer/Graphic Artist/Social Media guru/and Photographer. In addition to all her accomplishments in Music Journalism, Candice actively supports non-profit organization and charities such as: Morgan's Mission, Live4Tay, and Project Cuddle. She has also recently spearheaded a campaign in support of Morgan's Mission for the victims of the devastating fires in Fort McMurray, Alberta where family and friends near and dear to her lost their homes. 100% of the 'Morgan's Mission for #ymmstrong' Campaign proceeds went to help people affected by these fires via donation towards Morgan's Mission. Candice has also helped organize a flood relief concert in July 2013 for Calgarians who were affected, a fashion show ‘BLITZ’ (in the same year) for Western Canada Fashion Week designer Trisha Pasnak, and has helped support many non-profit organizations such as Morgan’s Mission, Project Cuddle, Live4Tay, and most recently, The SpiderMable Film by way of media supports on the Starlight Music Chronicles platform and magazine.